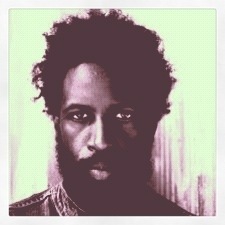 Did I ever tell y’all about when I first met Saul Williams? Wait, first, before I tell you, you have to know that I had seen Saul, and shared the stage with him several times without actually meeting him. Naturally we have tons of mutual friends, but for some reason, I never met him at all the danky, campy, hip-hopped, nag champa’d, darjeeling-infused open mics that populated the late 1990’s and early 2000’s. I actually didn’t meet him until I was 25. And it was in the Prada store, on Broadway. He was in black slacks and a mean black coat, and was carrying a black leather duffle. We talked about his cover of U2’s Sunday Bloody Sunday, and the friends we had in common. Then, he went on shopping, and I did the same. Well, at the time, it was more like browsing for me. But you get the point. Now, to most people this is such an ironic incident. Two poets meeting in the Prada store? Really? But why is that ironic? I mean, there were and still are SEVERAL archetypes for us to choose from as artists. There was Speech Hoopla, of Arrested Development (whom I idolized,) a self-proclaimed fashion misfit, bringing wild-style and I-dont-give-a-damn-ness to the forefront. BUT, there was also Langston Hughes rocking three piece suits, like a second skin. Or Pablo Picasso, carrying his art supplies in Goyard bags…bags originally only carried by royalty. But artists are royalty. Duh. I guess when it all comes down to it, what I’m really trying to say is, do you. But know that rappers can’t have all the fun. Ain’t that right brother Saul?